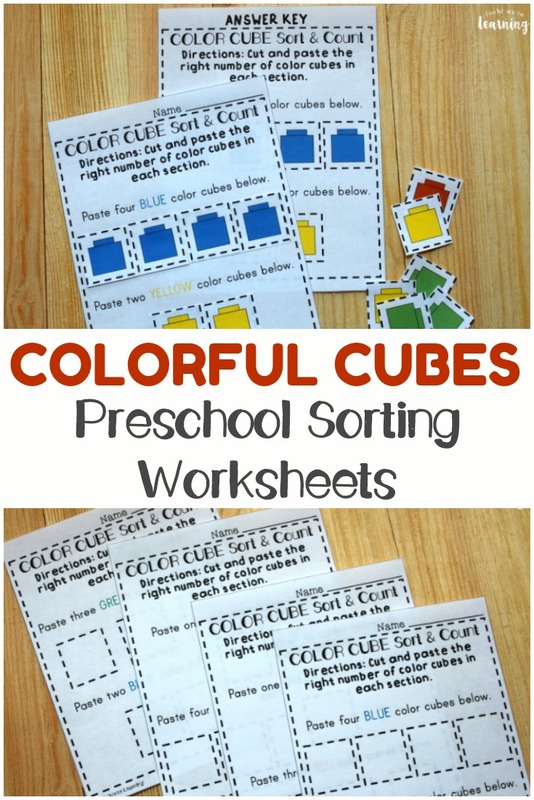 Preschool Worksheets: Preschool Sorting Worksheets - Look! We're Learning! Have you ever taken a preschooler out to shop for clothes? My four-year-old has recently developed a severe aversion to particular colors and textures, so shopping for clothing is…an interesting experience. Clearly, she knows her colors. 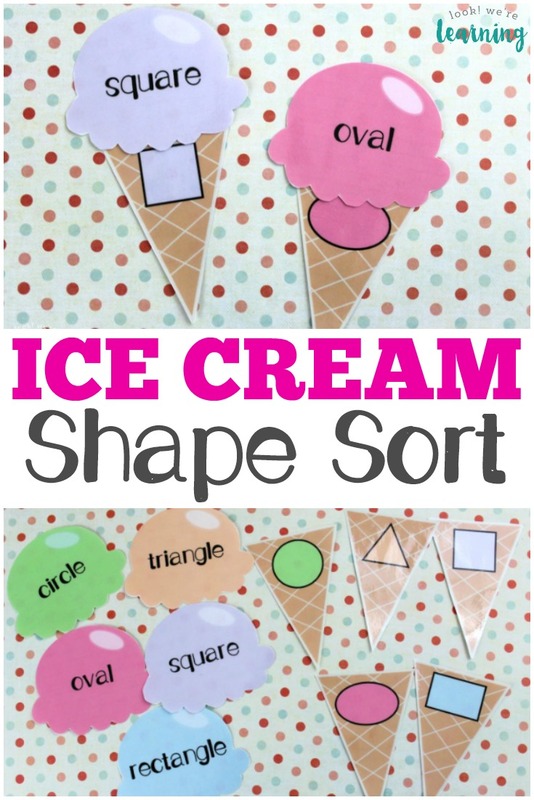 Preschoolers typically do a great job at distinguishing colors, sizes, and quantities when it comes to things they prefer, but learning to sort common objects by color or amount can still be a little tricky. 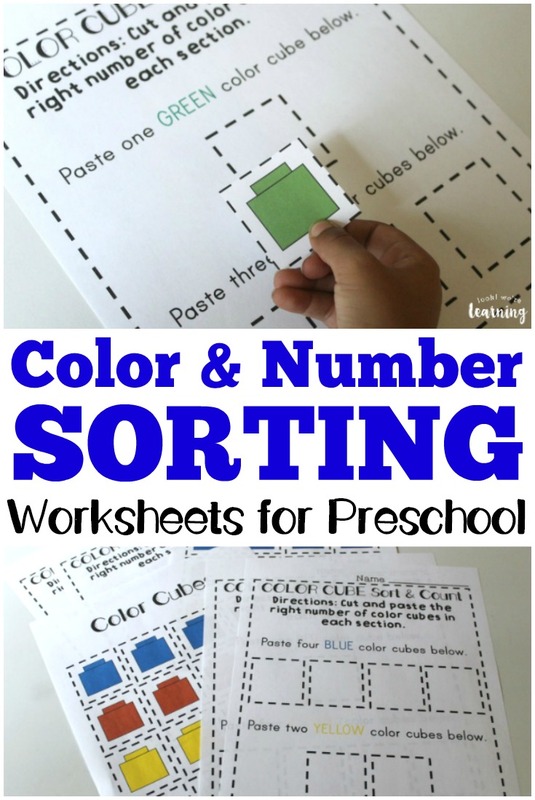 So I’m sharing a brand new set of preschool worksheets today: color and number preschool sorting worksheets! 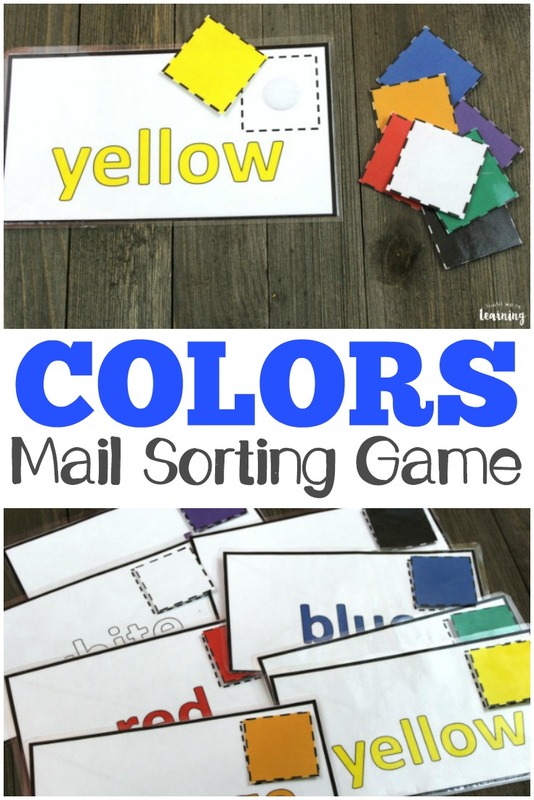 These printables are a great way to give little learners some practice in recognizing colors, counting from one to four, and classifying items as sets – all in one activity! Plus, they get a little fine motor practice too! 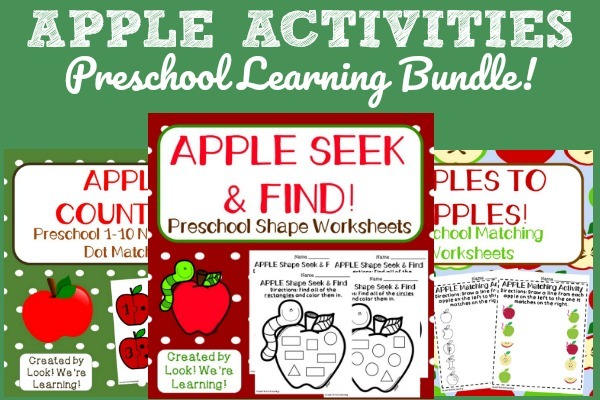 Read on to see how to get your set and, if you like these, check out our Apple Activities Preschool Bundle for more PreK learning fun! 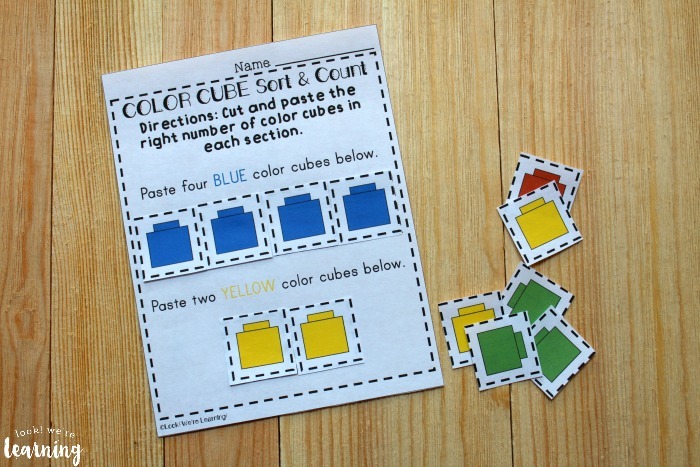 This cut-and-paste activity is a perfect hands-on lesson for preschoolers on colors and counting! 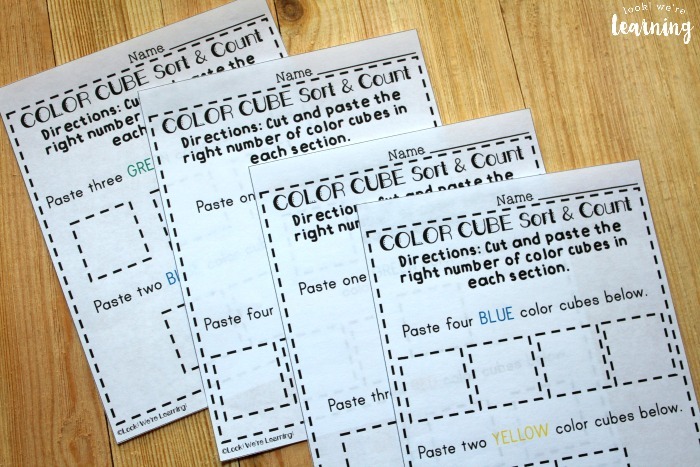 This product includes four color and number sorting worksheets, with directions. 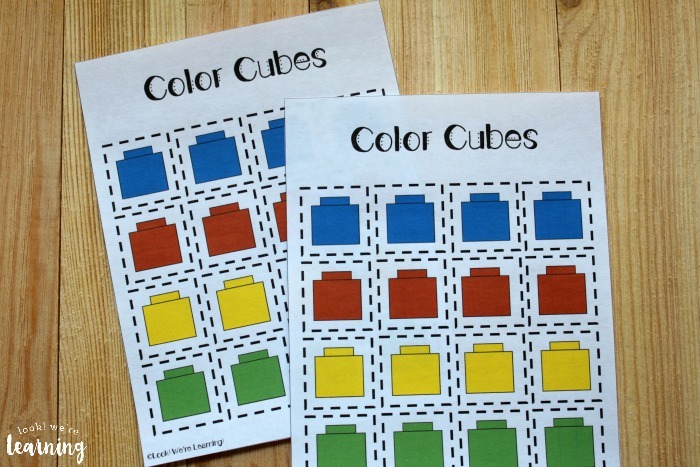 Two printable pages of color cubes are included as well. Plus, a full answer key! 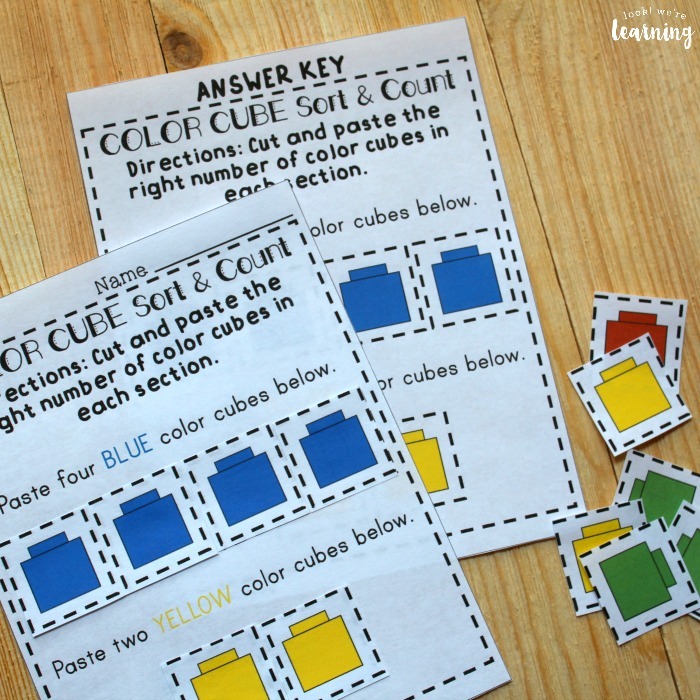 Once the kids cut out the color cubes, they can practice gluing the correct number of cubes in the right section on each worksheet. You might want to have the kids match up the cubes before gluing. That way, they’ll get a little extra practice and they’ll have time to switch any cubes around before gluing them down. 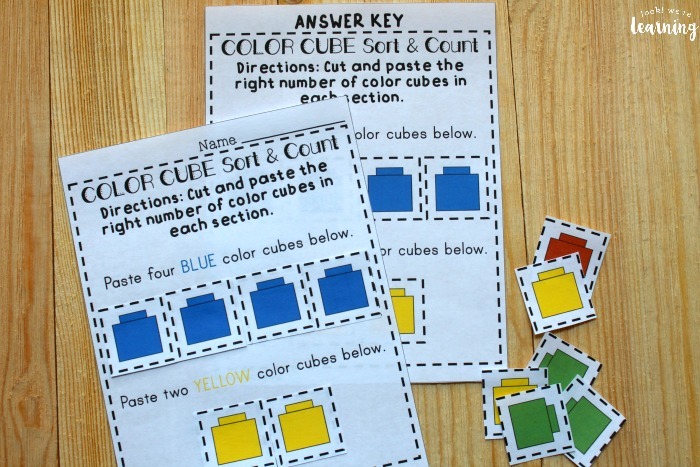 Each worksheet has a section for different colors and quantities of color cubes. 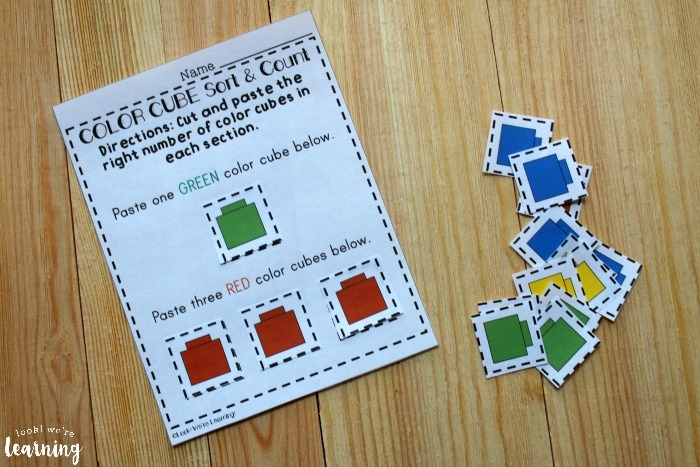 There are enough color cubes on the two pages to fill all four worksheets – with several left over. So if you want the kids to get a little extra scissor skills practice, they can work on cutting out the extra cubes afterward! 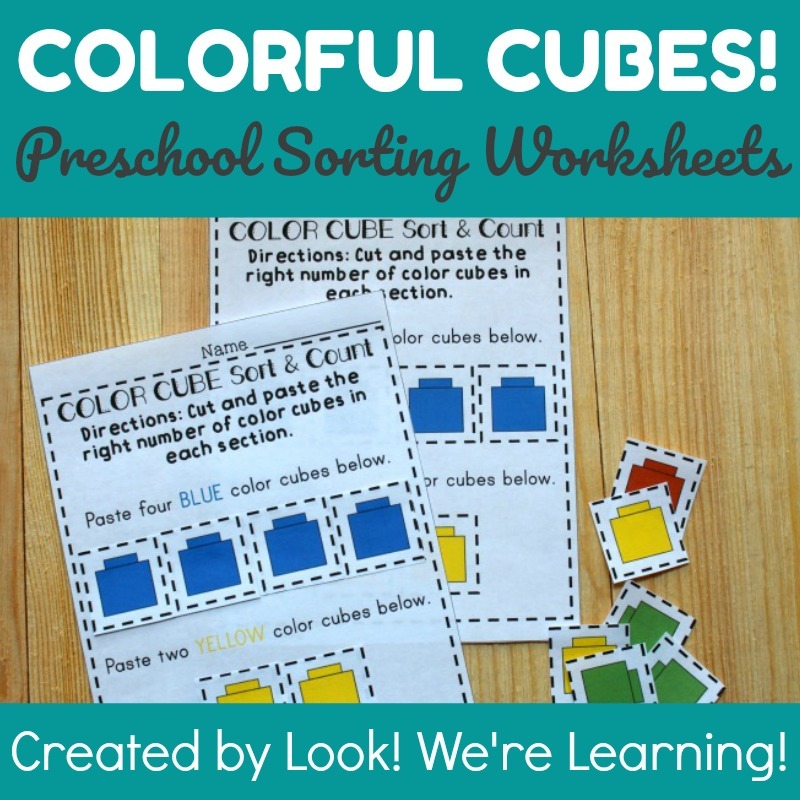 Scroll down to get your copy of our Color and Number Preschool Sorting Worksheets! 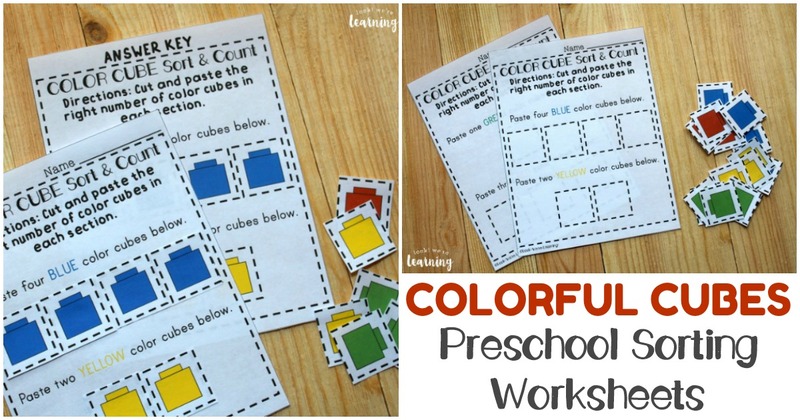 Check out some of our other printable preschool learning activities! 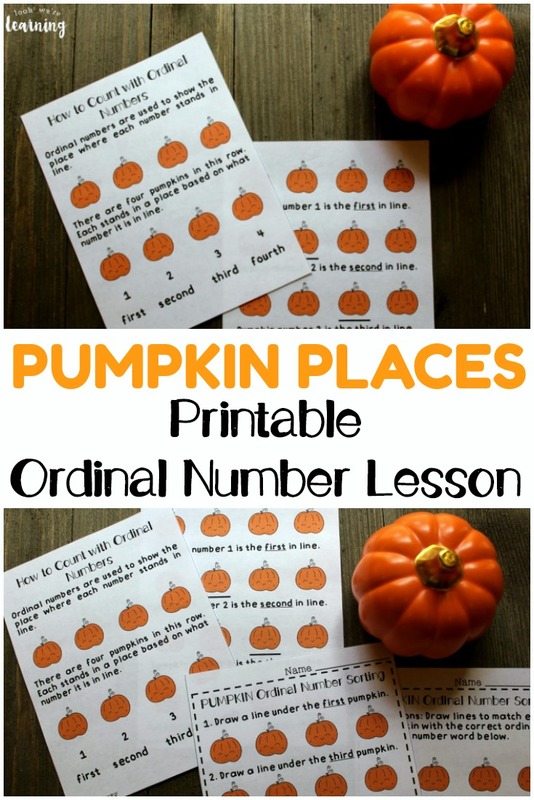 Get more teaching resources for early grades on my Learning for Little Ones Pinterest board! Did you know that you can get exclusive (and free!) learning printables when you sign up for our email newsletter? Use the widget below to subscribe. To get your copy of our Colorful Cubes! Color and Number Preschool Sorting Worksheets, click the image or the link below to visit our Store!